Fulwell Windmill has been a major landmark in Sunderland since 1808 and currently only working windmill in the North East England. The windmill features a purpose build visitor centre and now offers a glimpse of a working windmill. During the 1970s the Tyne & Wear Industrial Monuments Trust became involved with some further restoration work. 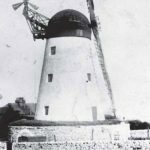 In 1996 the Sunderland City Council started the process to see the windmill restored to its nineteenth-century working condition. 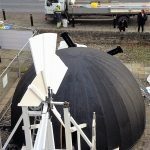 The circular roof was in a great need for repair with flexible and long lasting waterproofing solution. Roofing contractor Hodgson Sayers replaced the old, and not fit for purpose, hessian roofing impregnated with hot bitumen with the latest and long lasting single-ply bitumen backed membrane, RESITRIX® SKW Full Bond, CARLISLE® CM Europe’s EPDM waterproofing membrane. CARLISLE® CM Europe’s technical team made a full working model to reassure the contractor of the longevity and quick installation of the market-leading EPDM membranes. After successful inspection by CARLISLE® CM Europe’s technical team, the project is now close to completion and is due for launch soon. The CARLISLE® CM Europe group is Europe’s leading provider of single-ply EPDM sealing products for roof, façade and ground construction. It was established in 2012 by the merger of the European EPDM manufacturers PHOENIX Dichtungstechnik GmbH, Hertalan B.V. and Hardcast B.V. Parent company is the division Construction Materials of the diversified US company CARLISLE® Companies Incorporated. CARLISLE® CM Europe employs around 475 staff at eight production places and three administration sites in Europe. CARLISLE® CM Europe is characterized by a smart product range, professional advice, and training as well as reliable service. The umbrella brand CARLISLE® CM Europe unites the trusted brands RESITRIX®, HERTALAN®, ALUTRIX®, HARDCAST®, ECOLAN® and ARBO®. If you would like to know more about our projects and the complete waterproofing range of CARLISLE® CM Europe please log on to www.ccm-europe.com or call us on 01623 627285.